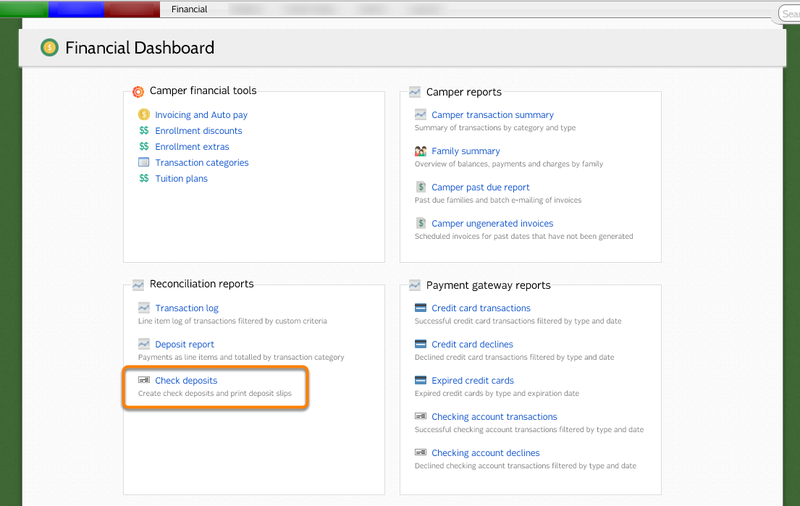 The Check Deposits Report allows you to track checks that have been logged as payments within CampSite and mark them as deposited into your bank account. Check Deposits can be accessed through the Reconciliation Reports section of the Financial Dashboard. Click Create new check deposit. The new check deposit will be logged. Double-click to delete the check deposit. Deleting a check deposit will move all checks in the check deposit back to the Undeposited Checks section.